The weather is getting a little colder but there is always something that requires you to leave the comfort of your warm house and to venture outside to work on your Mini. In my case it was fitting a new rocker cover gasket and some new spark plugs, both fairly straight forward jobs. 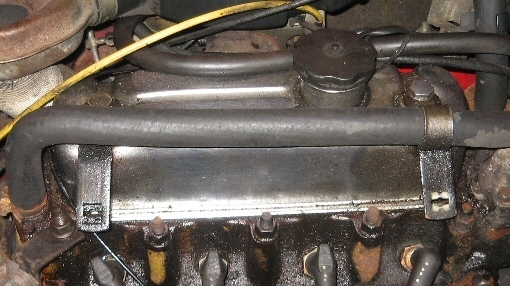 Oil had started leaking out of one side of the rocker cover prompting the need for a new gasket. It's an easy job. You undo the two bolts on top of your rocker cover and lift off the cover making sure you move any cables out of the way such as the advance vacuum pipe. 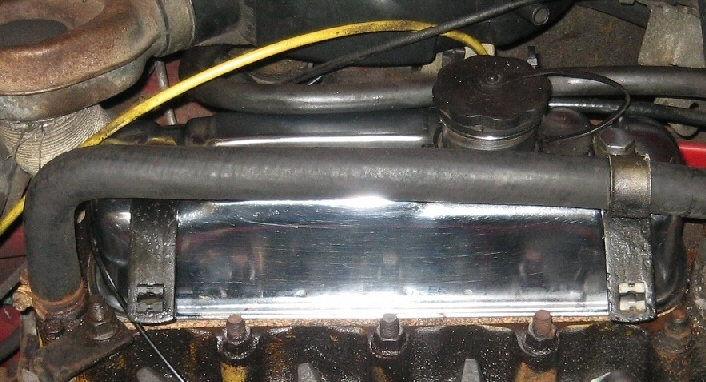 With the rocker cover off, clean the rim of the cover where the gasket will sit, and also clean the top of the engine block where the rocker cover gasket will sit. I use a clean rag. Now if you just sit the gasket on the rocker cover it will fall off when you turn it upside down. I like to use a bit of adhesive at 3, 6, 9 and 12 o'clock and leave it to dry. When the adhesive has dried I turn the rocker cover over and position it correctly before placing the bolts through the holes with the plastic shield brackets in place. I then tighten the bolts but not too tight to warp the gasket. I haven't changed the spark plugs in the Mini for some time and I've clocked up some serious miles with the current ones, so time for a change. I remove the spark plugs one at a time starting on the right working left. I use a spark plug extractor to remove the first plug, which I inspect as it tells you a lot about how your engine is currently running. The spark plugs were rusty but looked ok so I'll keep them as spares in case of emergency. 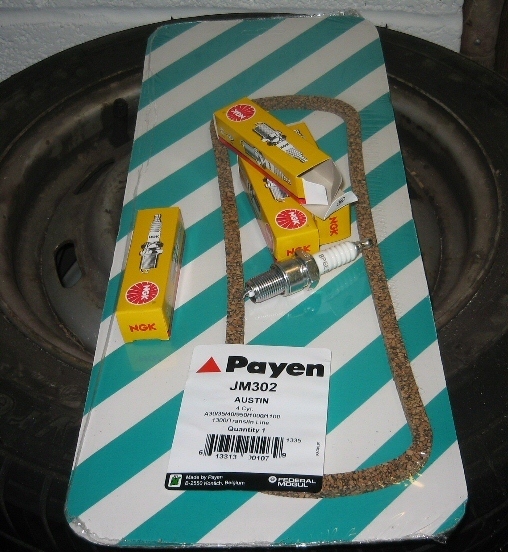 Before installing the new spark plugs I use feeler gauges to set the gap on each spark plug, in my case 0.8mm. I then spread a little bit of copper slip on the threads of the spark plug before screwing the plug back into the engine block and replacing the HT lead. Repeat for the remaining 3 spark plugs. The spark plugs I use in my 998 engine are NGK BP6ES. The Mini engine now sounds much better and has returned to starting on the first turn of the key rather than the second or third.